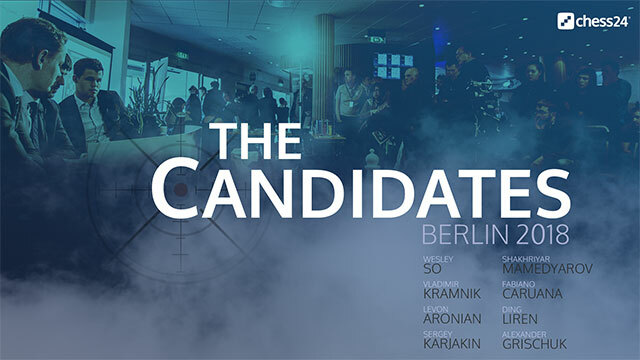 The 2018 Candidates Tournament starts this Saturday in Berlin, and we’re delighted to be able to reunite the dream team of Peter Svidler and Jan Gustafsson to commentate live on 12 of the 14 rounds. For the first two rounds Sopiko Guramishvili will be filling in for Peter, while we’ve recently learned her husband Anish Giri will be busy in Berlin… as a second for Vladimir Kramnik! 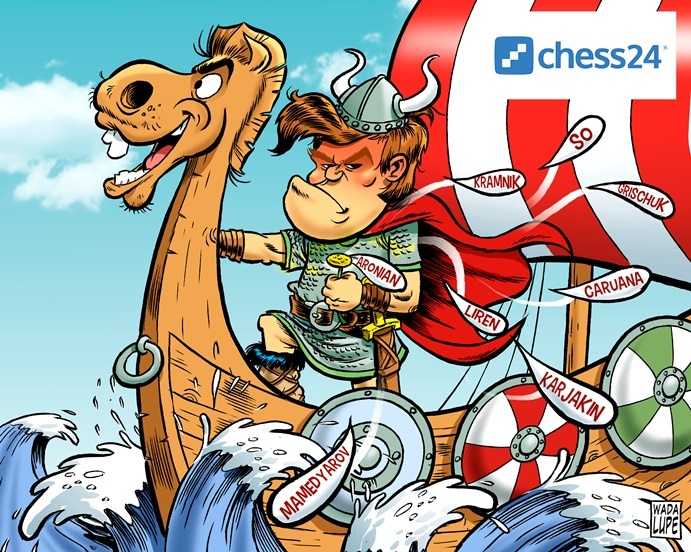 Check out all the details in our preview of at least the second most anticipated chess event of 2018. It’s possible to name favourites for the Candidates Tournament: those are Kramnik, Karjakin, Ding Liren, Aronian, Mamedyarov, Caruana and So. There are no outsiders in the tournament. It seems to me that for the first time in history it’s impossible to predict players who definitely won’t win the tournament. Usually there are always one or two people who might perform well, but definitely won’t win the Candidates Tournament. This time the situation is completely different – everyone has a roughly equal chance of success. Full access to that 3.5 hour series is only $2.99, but you might want to Go Premium, starting at $9.99 a month, to get the best Candidates experience – no ads, no chat restrictions and the ability to get cloud analysis of any move you make on the board during the games (not to mention all the other stuff like 1000s of hours of videos!). 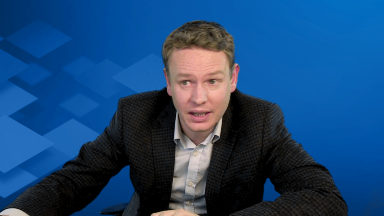 Peter Svidler and Jan Gustafsson will once again team up to provide the best commentary around on top level chess, with the duo covering all rounds except the first two. For those two rounds we’re delighted that Jan will be joined by Sopiko “Miss Tactics” Guramishvili, who has plenty of experience, including teaming up with Svidler for official commentary on the 2014 Carlsen-Anand match (it’s probably enough to mention the user “DamnS” to jog your memory!). The schedule looks as follows, with a rest day after every three rounds. All games start at 15:00 Berlin time = 06:00 Los Angeles, 09:00 New York, 14:00 London, 17:00 Moscow, 19:30 Delhi, 22:00 Beijing, +01:00, Sydney. Note the times in the Information tab on our tournament page adapt to wherever you’re based. Tiebreaks are highly unlikely, since once again they’ll only take place if players tied for first are equal on: 1) the mini-match between them, 2) total no. of wins, 3) Sonneborn-Berger. That’s despite the almost unanimous opinion of the chess world since 2013, when Carlsen finished ahead of Kramnik on “most wins” (also = “most losses”), that a playoff should be held if the players tie for first. We’ll also have commentary in German and Spanish, with Melanie and Nikolas Lubbe handling the German commentary, while Pepe Cuenca and David Martinez will lead the Spanish. A professional chess player can’t do serious work without a computer. Around 80% of the training process is devoted to working with it, but the human factor is also important. The 20% work with a coach that forms part of the training process is the most important thing, the main guarantor of success. I hope that I’ll manage to do it better than my opponents. After all, I’m more experienced. In contrast to young chess players I’m able not only to switch on but also to switch off the computer, while many people neglect that. For now it’s a secret. I can only say that there are people in my coaching team with whom I didn’t work before. A day earlier, however, Anish Giri was on chess-news.ru and when asked about his plans mentioned a supertournament (Shamkir Chess from 19 April, where Carlsen and Kramnik also play), playing in the Leuven Grand Chess Tour (so either there will be some wildcards this year after all, or someone declined and Giri took his place) and, the big one, that he’ll be travelling to Berlin to help Kramnik during the Candidates Tournament. Giri didn’t say how long he’s been helping Kramnik, but did note that Vladimir has been preparing for the tournament for a long time. Of course Kramnik himself once famously helped Garry Kasparov before later taking his title, and as Giri pointed it, it’s natural that the players try to get the help of Top 10 players who didn’t make it into the event. MVL was on Team Carlsen for the last World Championship match, and Giri said he wouldn’t be surprised if MVL and Hikaru Nakamura were also on a team this time round. 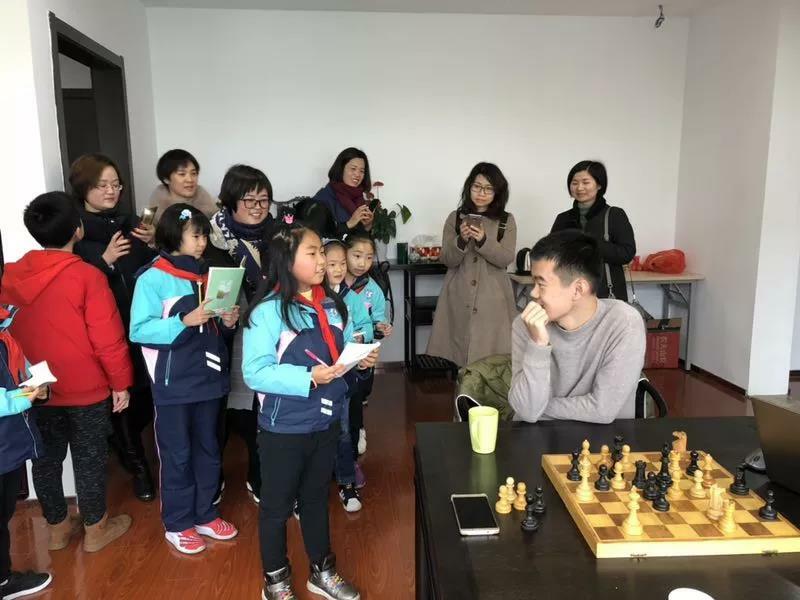 18-year-old rising star Wei Yi appears to be helping Ding Liren in the tournament, though you can imagine more Chinese players will be involved, just as Levon Aronian and Shakhriyar Mamedyarov likely have the full force of the Armenian and Azerbaijan chess community behind them. Will Garry Kasparov have been involved with the preparation of Fabiano Caruana or Wesley So? It’s impossible to say in advance how well prepared you are. My minimum goal was not to lose all the games (in the rapid tournament), and I’d achieved that already in the first round. Therefore I’m satisfied with my performance in the Tal Memorial. As for Berlin, I played there once and became Blitz World Champion. I can say that I have pleasant memories connected with the city. I don’t know if it loves me or not, but I like it. What are they playing for in Berlin? Well, the top prize is €95,000, perhaps with a slight bonus from pay-per-view revenue, but as Sergey Karjakin pointed out when he last won the event, that may not even cover the costs of his preparation. The real goal, of course, is a World Championship match this November in London against Magnus Carlsen, with a healthy prize fund even for losing, not to mention the glory of potentially fulfilling a lifelong ambition. He’s definitely one of the best chess players in history, and could definitely be among the Top 10. You need to start, and she starts worse than the rest, but by 200 metres she generally overtakes everyone, while at 100, not yet, because the distance isn’t enough to overtake them, and it seems to me that Magnus is in a similar situation. He runs faster than everyone - to put it crudely, he plays better chess, but in the opening he’s often inferior to other top players and he can’t compensate for that with his approach to chess. He can’t fully compensate, and because of that it seems to me that you can compete with him and you have a chance to beat him. 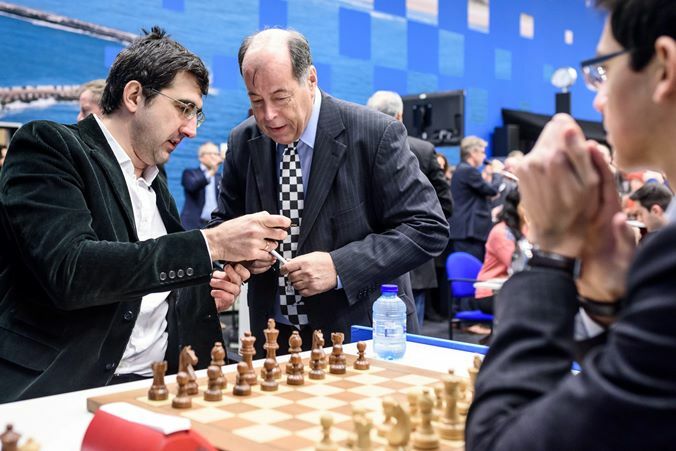 For that reason Giri's employer Kramnik might be one of the most interesting opponents for Magnus, but what’s certain is that anyone who survives the ordeal of the Candidates Tournament will be a fitting opponent for the World Champion. So all that’s left to say is: don’t miss Round 1 of the FIDE Candidates Tournament with commentary from Sopiko Guramishvili and Jan Gustafsson from 15:00 CET this Saturday!